Thinking about Valentine’s Day? Here’s something worthy of your love: the Texas Apartment Association Conference & Expo April 10-12 in Houston. Registration is open now. Register by February 28 for your greatest savings! 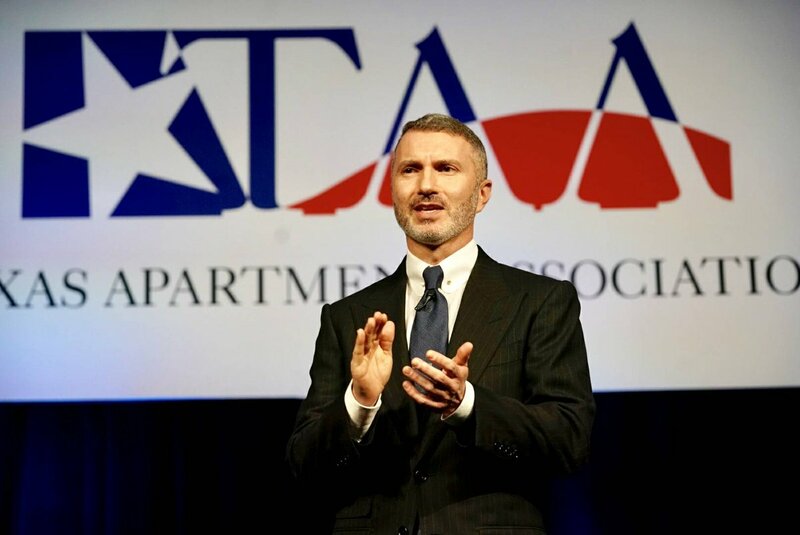 Registration for the 2019 Texas Apartment Association Education Conference & Lone Star Expo is now open. The early-bird registration deadline is February 28. There’s lots to love about this year’s Conference: more education, a bigger Expo, a great location and Academy Award-nominated and Emmy- and Grammy-winning star Queen Latifah. Join thousands of your colleagues from around the state and nation who are expected to attend. See Conference registration options and discounts. It’s almost Valentine’s Day, and in the spirit of spreading love, here are some things you’ll love about the 2019 TAA Education Conference & Lone Star Expo April 10-12 in Houston. Remember, register by February 28 for your greatest savings! So much to learn…73 educational sessions! That’s a very lucky 13 more options than last year, including traditional seminars, shorter lab sessions, new “open space” sessions where you can learn from your peers, plus an expanded Learning Lounge in the Expo where you can fit in some education while visiting the exhibitors. So many people to see…you can plan on seeing about 4,000 industry professionals—1,500+ supplier partners and 2,500+ management colleagues. Attend Conference social and networking events to make the most of all the new connections you’ll make. So much to do… strike it lucky at the first-ever TAA PAC Bowling Tournament at Lucky Strike in downtown Houston. Take a chance on winning a 2019 Jaguar XE from the TAA Education Foundation Raffle. Visit with established supplier partners and discover new ones in the largest ever Lone Star Expo. Have a blast at the Thursday Kickoff Party at the Park at Minute Maid Park, home of the Houston Astros, with games, grub and The Spazmatics. Get ready to celebrate Friday night at the Emerald Extravaganza Installation & Awards Gala, with after-program entertainment from The Grooves. So many ways to grow…soak in some inspiration and life lessons from Academy Award-nominated, Emmy- and Grammy-winning Queen Latifah April 11 during the General Opening Session. Pick up new skills and successful strategies from Conference seminar leaders like Toni Blake, Jackie Ramstedt, Rommel Anacan, Doug Chasick, Vicki Sharp, Paul Rhodes, Alexandra Jackiw and more who understand the national and Texas multifamily market. So little time…all this, in only two-and-a-half days out of the office, and no time away from home on the weekend. Know what we’re going to love? We’re going to LOVE seeing you there! Online registration is now open, and you’ll find expanded information on the TAA website at www.taa.org/conference. The early registration deadline is February 28, so register now for your greatest savings!